Student debt in the United States is at an all-time high, surpassing $1 trillion this year, but in recent times there have been some signs that the trend may be slowing down, if not reversing altogether. 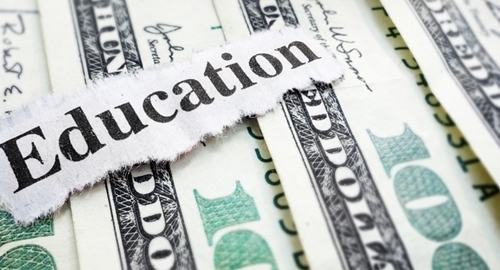 The Institute for College Access & Success (TICAS) has released a state-by-state report showing that the average debt for the class of 2013 is at $28,400, and that 69 percent of graduates have at least some outstanding debt. New Hampshire leads all states with 76 percent of graduates holding $32,795 in average debt. Delaware, Pennsylvania, Rhode Island, Minnesota and Connecticut are also above $30,000. On the opposite end of the spectrum, New Mexico graduates average just $18,656. Both TICAS and the College Board also note the good news for college students and recent grads. First, the job market has been improving steadily for months now, so more Americans have the means to pay back their student loans. Meanwhile, the cost of college tuition grew just 2.9 percent for the 2014-15 school year, the smallest single-year increase in four decades. And at private four-year colleges, when financial aid is taken into account, tuition is actually down 13 percent over the past decade. Given these figures, analysts say that average student debt could fall as early as this year. TICAS added that the 7.8 percent unemployment rate for recent graduates is less than half that of young people without college degrees. Student loan management software helps keep debt levels manageable and ensure timely repayments with the use of amortization schedules that are adjusted to each borrower.